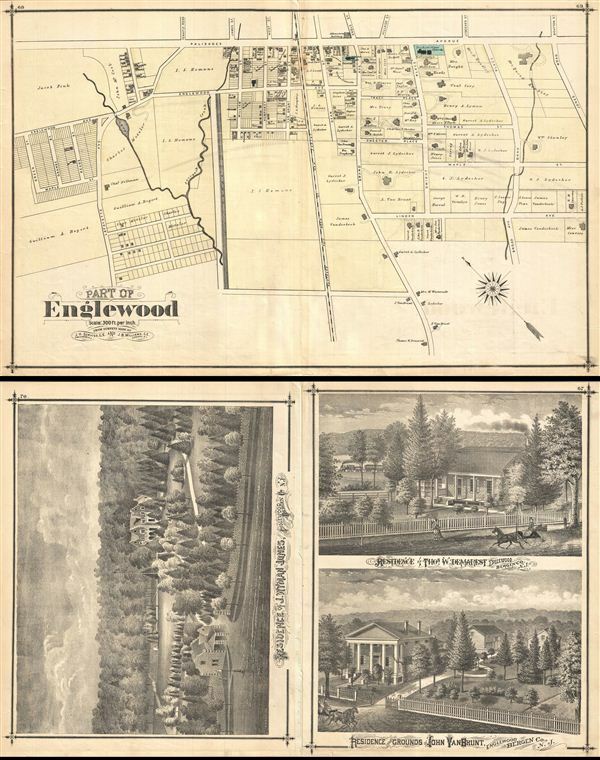 Very detailed 1876 map of southwestern Englewood, New Jersey (part 2 of 2, showing roads and property owners' names, and building footprints. Published as plates 68-69 in Walker & Pease' exquisite 'topographical, illustrated, historical, descriptive' Atlas of Bergen County, New Jersey, 1876. On verso appear three charming lithographic views of area residences.